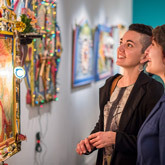 The events listed below were held in conjunction with exhibitions that were shown in 2014. To be, or not to be, forever? 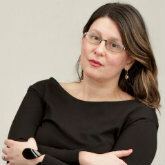 Assistant Professor Danijela Kambaskovic is Research Associate with the Australian Research Council Centre of Excellence for the History of Emotions (ARC CHE), where she is currently working on a book project concerned with cultural history of love and literary genres (The New Life: Love Written in the First Person and the European Renaissance). She states: ‘Remembering the transience of life was (and is) a practice with a fundamentally uplifting purpose. Its messages are simple: right your wrongs. Love deeply. Be good at what you do. Die and be remembered. This talk will be introduced by Professor Bob White, Chief Investigator, ARC CHE. 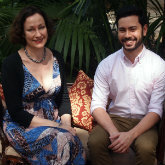 Join Professor Yasmin Haskell and Doctoral Candidate Makoto Harris Takao from the ARC Centre of Excellence for the History of Emotions - Campus Partner of the exhibition Memento Mori - as they discuss a series of literary, dramatic, artistic and musical works produced in the 17th and 18th centruries by members of the Society of Jesus (Jesuits), to teach boys how to live and die well - sometimes painfully. This presentation will be accompanied by selections from Strong Woman, a video of a musical play by the Viennese Jesuit equivalent of Rodgers and Hammerstein, Staudt and Adolph. The play commemorates the supposed Christian martyrdom of a sixteenth-century Japanese noblewoman. Refreshments will be provided. The Westerly Magazine Issue 59:2 will be launched by Kim Scott at the Lawrence Wilson Art Gallery. The magazine, produced by the Westerly Centre at UWA, has been publishing lively fiction, poetry and articles over the last 60 years. This Special WA/Asian Edition celebrates Westerly's 60th year of publication, with essays on each decade of its history. It features work by Fay Zwicky, Paul Hetherington, Robert Drewe, John Mateer, John Kinsella and many others. Cover: Elise Blumann, Rottnest lighthouse and salt lake, 1947. A symposium that reflects on the nature of death and the manner of its representation and meanings in visual art and literature since medieval times. Presenters include Professor Andrew Lynch, Professor Richard Read and Professor Charles Zika. For more information and to register, visit the registration page. The symposium is presented by the Campus Partner for the exhibition: the ARC Centre of Excellence for the History of Emotions. Join writer and academic Dr Penelope Woods as she presents in relation to the Memento Mori exhibition.The mimetic stakes are particularly high when it comes to playing dead on stage. As the character Lisideius says in Dryden’s Essay of Dramatick Poesie (1668): ‘I have observed that in all our tragedies, the Audience cannot forbear laughing when the Actors are to die: ‘tis the most Comicke part of the whole play’ (39-40). 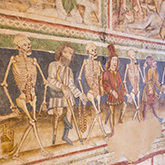 This talk considers the place and function of death in early English theatre and the relationship between theatrical death and the memento mori tradition. 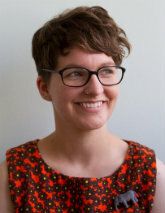 Penelope Woods is a Post Doctoral Research Fellow in the ARC Centre of Excellence for the History of Emotions (ARC CHE) at the University of Western Australia. 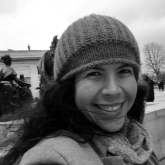 She specializes in theatre audience research and reconstruction practices. 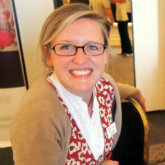 Her PhD research into spectatorship and architecture was carried out in collaboration with Shakespeare’s Globe. Introduced by Professor Bob White, Chief Investigator, ARC CHE. 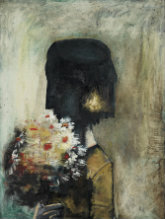 Self Portrait as Shared Dream features paintings, prints, and drawings from the Cruthers Collection of Women’s Art by significant Australian artists including Joy Hester, Vivienne Binns and Susan Norrie, which will be connected by a large scale wall drawing by local artist Anna Dunnill. Seeking an embodied, universal language that works where rational certainty fails, Dunnill’s practice combines drawing, sculpture and creative writing. Linked by her dreamy, abstract mark-making, individual works in the exhibition become part of a greater whole. Join curator Gemma Weston in conversation with artist Anna Dunnill as they discuss this exhibition and Anna’s role in it. Discussed primarily in the context of portraiture, anatomical models, or ex-voto offerings produced in gratitude for miraculous healings, wax sculptures tend to be read as visualised memory. Yet, their status within Western art history remains somehow precarious, their historical reception in early modern society often too intangible. Join Dr Susanne Meurer as she presents Mimesis and Memory in Wax Works in which she will discuss the recent revival of wax sculpture as an artistic medium and subject of critical study. Be inspired by a discussion about art and music and the power of music to engage with the big questions of life and death. New compositions by School of Music students Mark Holdsworth, Drew Woolley, James Bradbury and Michael Grebla have been commissioned to complement the exhibition Memento Mori. School of Music Assistant Professor Ashley Smith and the composers will reflect on these new pieces and the art in the exhibition. There will also be a live performance of music composed; sit back with a glass of wine and enjoy the music! Join writer and academic Dr Shevaun Cooley as she presents ‘You must change your life’, a discussion of the intersection of art and poetry, and what happens when those works carry with them the whiff of death. The lecture will include an exploration of mortality and the ephemeral in the Memento Mori exhibition. 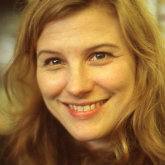 Dr Shevaun Cooley is a Western Australian poet and academic. Her work has appeared in Southerly, Meanjin, Cordite and The Best Australian Poems (2009). Most recently, her poem ‘Soundings’ was shortlisted for the University of Canberra’s inaugural Vice Chancellor’s International Poetry Prize. The Undiscovered: A National Focus on Western Australian Art is the first of a proposed series of symposia that will emerge over the next three years, presented by Artsource and The University of Western Australia Cultural Precinct. Co-presented by Artsource and the UWA Cultural Precinct, this symposium intends to focus on Western Australian art and artists in the context of the national and global visual arts discourse. For more information, visit the Symposium website and blog where ongoing discussions are currently taking place. Memento Mori: Curator and Artist Discussion. Join us for a lively discussion between Memento Mori exhibition curator, Winthrop Professor Ted Snell and included artist, Richard Lewer. 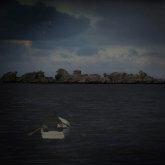 They will talk about the artist’s work and will screen his recent animation, Worse Luck – I am still here. Join us for the opening of two new exhibitions: Memento Mori and Self Portrait as Shared Dream. Featured work: Robyn Stacy, Leidenmaster I, 2003, type C print, 96 x 150 cm. University Senate Grant, 2008. Copyright of the artist. Often translated from the Latin as ‘remember you must die’ or ‘remember your mortality’, Memento Mori serves as a symbolic representation of the inevitability of death. The term first entered English in Shakespeare’s Henry IV, Part 1 (1598) and was immediately accepted into common usage through visual representation. In contemporary society, the concept of memento mori has taken on different aspects of representation, including digital. The 2014 Day of Ideas will provide discussion on the ephemeral nature of life. The symposium will finish at 4.30pm, followed by a private viewing of the Allegoria Sacra video installation by the Russian Collective AES+F, a talk by Nick Mitzevich, Art Gallery of South Australia, and the official opening of the Memento Mori exhibition at the Lawrence Wilson Art Gallery. Visit the 2014 Manning Clark House Day of Ideas website for information on speakers and associated program. 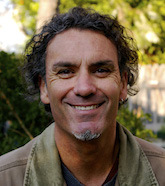 The author of numerous books and articles, Stephen Kinnane, a Marda Marda from Mirrowoong country in the East Kimberley has been working as a researcher and writer for over 20 years on community cultural heritage and development projects across the spectrum of Aboriginal history, sustainability, country, economy and human development. Stephen’s interests also include visual and literary creative documentary. 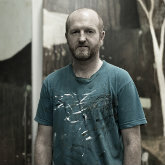 He was the Winner of the Human Rights and Equal Opportunity Commission Human Rights Award for the Arts for his co-production of the ABC TV Documentary The Coolbaroo Club (1996). Kinnane has been Visiting Research Fellow at the Australian Institute of Aboriginal and Torres Strait Islander Studies (AIATSIS), Canberra and is currently Senior Researcher for the Nulungu Research Institute of the University of Notre Dame Auralia, Broome. Join him as he discusses the Coolbaroo League and Aboriginal activism. Join us for a discussion between Associate Professor Andrew Rate from the School of Earth and Environment and ceramic artists Andrea Vinkovic and Stephanie Hammill. The use of clay as both artistic medium and source of scientific enquiry will form the basis of this discussion. Andrew Rate has conducted the specific analytical application of Powder X-ray Diffraction on selected clay and glaze materials used by exhibiting artists. Some of this has been collected from diverse areas of the state. The results are to be revealed in conversation with the artists who offer their own perspectives in relation to their artistic practice. This FREE symposium is presented by The School of Earth and Environment - Campus Partner for HERE&NOW14. Join Curator Gemma Weston as she guides us through the stunning works on display from the Cruthers Collection of Women’s Art in the exhibition Glitter: Pat Larter vs Lola Ryan. Award winning researcher and writer Stephen Kinnane who co-wrote and produced The Coolbaroo Club (1996), an ABC TV documentary, will introduce the film and take questions following the screening. This documentary is a portrait of the Coolbaroo Club, an Aboriginal-run dance club which operated in Perth from 1946 - 1960. Join us for a special conversation between long-term creative collaborative partners Pippin Drysdale and Warrick Palmateer and more recent collaborative partners Sandra Black and Andrew Nicholls. Prominent practitioners in their own right, these artists have been working in creative partnerships to produce new work for HERE&NOW14. Introduced by Winthrop Professor Ted Snell, Director of the Cultural Precinct. Special Refreshments: Enjoy mulled mead in Stewart Scambler’s especially commissioned terracotta beakers that you may then take home. These exclusive beakers are available for first 50 RSVPs only. Guests will also be able to enjoy the wine provided by our sponsors Thompson wines. Join writer and academic Anna Haebich, John Curtin Distinguished Professor and Senior Research Fellow in the School of Design and Art, Curtin University as she discusses the Coolbaroo League’s role in creating a sense of community among the Aboriginal groups living in Perth from the late 1940s to early 1960s. Through the cultural and social activities at its Friday night dances, and by negotiating protocols of bringing people from the north and south together, the League celebrated the mix of Aboriginal identities and provided a supportive environment for the development of social skills and leadership. This event forms part of the public program accompanying the exhibition Wildflower Dreaming: Shirley Corunna and the Coolbaroo League 1952 - 1962. 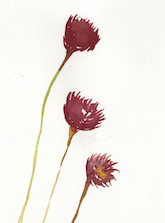 Featured work: Wildflowers, Everlasts. Courtesy of Barbara Bynder. When: Friday 8 August 2014, 1pm, Approximately 55 minutes. Attend: FREE. RSVP essential. Register online. Join exhibition curator Emma Mahanay Bitmead, artist and former academic John Teschendorff and leading writer and curator of Australian contemporary crafts and design, Grace Cochrane AM, as they discuss the nature of contemporary ceramics practice in Western Australia within a national and an international context. This event forms part of the public program accompanying the exhibition HERE&NOW14. The Lawrence Wilson Art Gallery will open late for a very special live performance with renowned clarinettist Ashley Smith and the cream of Western Australia’s young musicians. 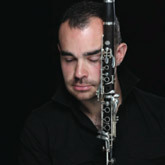 They will present 20th century works for flute, clarinet, saxophone and piano (Debussy, Jolivet, Poulenc, Satie), interspersed by six new wind duo miniatures that contemplate impressionism and post-impressionism, and colour through harmony and texture, especially commissioned from UWA composers. Refreshments will be provided. This event is presented by the UWA School of Music as part of the WINTERarts series of arts and cultural events taking place at UWA throughout July. When: Thursday 31 July 2014, 6pm, approximately 90 minutes. Cost: $25 standard | $20 student/concession. Join in the conversation with exhibition Curator Barbara Bynder as she discusses Wildflower Dreaming: Shirley Corunna and the Coolbaroo League 1952-1962. The exhibition presents a snapshot of Shirley’s personal journey, following a move from her home in Three Springs in the Wheatbelt region. Shirley lived and worked in Perth in the 1950s during which time she attended the Coolbaroo League’s weekly Friday night dances. Wildflower Dreaming highlights items from the Westralian Aborigine, the first newspaper in Western Australia owned and published by Aboriginal people. When: Saturday 26 July 2014, 2pm, Approx 45 minutes. Join us for the opening of three new exhibitions: Glitter, HERE&NOW14 and Wildflower Dreaming. Glitter and HERE&NOW14 runs from 26 July until 27 September 2014. 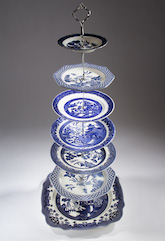 Featured artwork: Stephanie Hammill, Drift, 2013, porcelain, 7.5 x 17 cm, photography Kevin Gordon, copyright of the artist. Join exhibition curator and director of the UWA Cultural Precinct Winthrop Professor Ted Snell as he explores the ideas and themes presented as panoramas and discusses his choice of works for the exhibition. When: Thursday 3 July 2014, 6pm, Approx 55 minutes. Join exhibition curator Gemma Weston and arts writer Sheridan Coleman as they discuss how printmaking has been used in diverse ways in the 20th century to create images of our 'home turf' that have been shaped by global influences. When: Saturday 7 June 2014, 2pm, Approx 55 minutes. This symposium is an exploration of how panoramas have been used in historical and contemporary contexts for diverse scientific, artistic and documentary purposes. Speakers include: Curator, Winthrop Professor Ted Snell; Campus Partner, Associate Professor Paul Bourke, Director iVEC@UWA; Exhibiting artist, Gregory Pryor and author of Fire and Hearth, Sylvia J Hallam, supported by Campus Partner UWA Publishing. Refreshments will be provided. Full program and more information will be available closer to the event date. When: Monday 2 June 2014, 4 - 7pm. Acclaimed Western Australian artist Pilar Mata Dupont offers an insight into her personal practice as she investigates ideas of nationalism, identity and the triggers of nostalgia. Mata Dupont was awarded an Asialink Residency at the National Art Studio, Goyang, South Korea in 2013 where she created her photographic work exhibited at the exhibition Transcending Borders. When: Saturday 31 May 2014, 2pm, Approx 55 minutes. Sisters of Gion portrays pre-war Japanese society's treatment of women. It is one of director Kenzo Mizoguchi's finest pre-war films. It tells the story of two sisters who work as geishas in a district of Kyoto. When: Friday 30 May 2014, 1pm, Approx 66 minutes. Since graduating in 2012 with a Bachelor of Fine Arts, Honours, award-winning photographer Alice Blanch has exhibited widely in Australia and in China. Her moody cloudscapes and enigmatic still life compositions offer compelling images. In this talk, Alice will discuss her work that includes experimenting with photographic film in antique cameras. When: Friday 9 May 2014, 1pm, Approx 45 minutes. Join exhibition curator Kelly Rowe and Associate Professor Joanna Elfving-Hwang for an informative discussion that frames the development of the exhibition Transcending Borders. This conversation and tour will offer a unique look at the cultural context of both the historical and contemporary works presented in the exhibition. When: Saturday 3 May 2014, 2pm, Approx 45 minutes. Join us for the opening of three new exhibitions: p a n o r a m a, Transcending Borders and Worldwide Backyard. Exhibitions run from 3 May until 12 July 2014. Curator Gemma Weston offers an exciting sneak preview of 2014's exhibition highlights, discussing a key work from each of the Cruthers Collection of Women's Art exhibitions in detail and shedding light on some of the lesser known works held in the collection. Featured artwork: Lola Ryan, 2002, Untitled (Sydney Harbour Bridge), shells, glitter and fabric on card, 16 x 37 x 5cm, © The artist's estate. Inspired by the life of Kitagawa Utamaro, considered by many critics to be the greatest portraitist of the Ukiyo-e woodblock print, Director Kenji Mizoguchi’s film explores the artist’s complex relationships with the women who inspired him. The passion of both Utamaro and Mizoguchi for the beauty of women makes this one of the finest films about an artist and the unstoppable drive to create images. Join the curator of Ukiyo-e: Japanese Prints of the Floating World, John Stanton for an informative floor talk that explores the fascinating works on display and their significance to Ronald and Catherine Berndt. Since 1995, artist Anne Ferran has been examining and rediscovering Australia’s colonial history, through museum collections, photographic archives and archaeological sites. Her investigation into Australia’s colonial past, especially its lost histories of incarceration, offers a rich opportunity for archaeologists and historians concerned with recent and contemporary pasts to consider how the materiality of places, landscapes, remains, and objects, both reflect and shape practices that produce identity and memory. As part of the Lawrence Wilson Art Gallery's campus partnership with the University of Western Australia's faculties, academic staff from the disciplines of History and Archaeology will share their research in this special symposium at the Gallery. Download the PDF for speaker's biographies and symposium program. first flock is a special event for University of Western Australia first-year students to welcome you to your on-campus art gallery. This is a complimentary event proudly hosted by the Cultural Precinct and the Cultural Precinct Collective. Attend: FREE. Limited spaces. Register online. Following the successes of previous Focus Day events for the family, the Berndt Museum is hosting another special focus day celebrating the exhibition Ukiyo-e: Japanese Prints of the Floating World. Including floor talks, a tea ceremony and an origami workshop, there is something for everyone in the family, so bring everybody along! 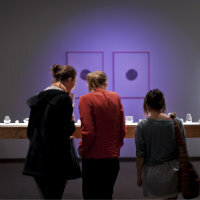 Visit the Berndt Museum Focus Day event website for more information and program. 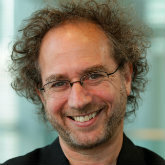 Join us at the gallery as conductor and radio presenter Prue Ashurst explores the creative mind of internationally acclaimed composer and Professor at MIT’s Media Lab, Tod Machover. The discussion will provide insight into the influences that inform his work, his creative development and achievements. As part of the Perth International Arts Festival for 2014, Machover is crafting a symphony for Perth, ‘Between the Desert and the Deep Blue Sea’, which will be performed by the West Australian Symphony Orchestra and conducted by Carolyn Kuan. In conjunction with the exhibition of her work, Shadow Land, one of Australia’s most acclaimed photomedia artists Anne Ferran offers a personal look into her multi-faceted artistic practice. Featured image: Anne Ferran, Scene IV from Scenes on the death of nature, 1986, gelatin silver photograph, 154 x 115cm, Courtesy of the artist and Stills Gallery, Sydney / Sutton Gallery, Melbourne. 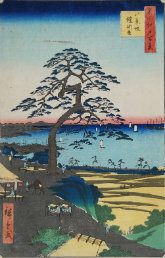 Ukiyo-e: Japanese Prints of the Floating World - Japanese woodblock prints from the Berndt Museum Collection.